Hope you all are ready for this one...we're loaded with questions this week! Some are easy, some are not so easy, and some are....well, just plain nasty! But we'll let you be the judges....enjoy! 1. Name the two future TV stars who appeared in a movie with Whit Bissell and Joey Heatherton. 2. Name the stars of the film in the previous question. 3. 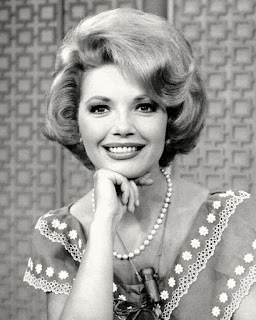 Name the actor who crossed swords with both Errol Flynn and Basil Rathbone, and who danced with Alice Faye. 4. 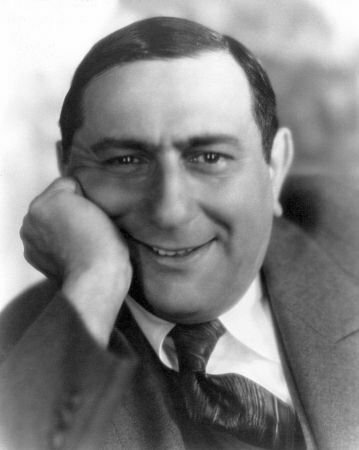 Name two Capra films featuring both Thomas Mitchell and Edward Everett Horton. 5. 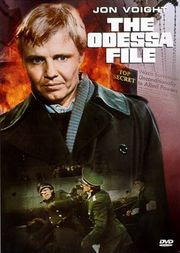 Name the thing(s) these films have in common: The Odessa File, Day of the Jackal, The Medusa Touch. 6. Believe it or not, Erich Wolfgang Korngold did not win the 1940 Oscar for Best Score for The Sea Hawk. Who did and for which film? 7. Name the thing(s) these films have in common: Airport, The Magnificent Seven, Never So Few, The Caine Mutiny, Spencer's Mountain. 8. Name a multiple Oscar winning film featuring Vincent Price, Geraldine Fitzgerald, Charles Coburn and Thomas Mitchell. 9. 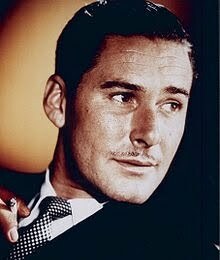 How many Westerns did Errol Flynn make? 10. In 1955, Flynn did two films that, when released in the United States, had the original titles changed. Give both the original titles and the U.S. titles. 11. Name at least 5 actors who were considered for the part of Dr. Peter Blood (in Captain Blood) before they finally got around to Errol Flynn. 12. Who was originally offered the part of Arabella in Captain Blood? 9. DODGE CITY, VIRGINIA CITY, THEY DIED WITH THEIR BOOTS ON, SANTA FE TRAIL, SAN ANTONIO, SILVER RIVER, MONTANA, and ROCKY MOUNTAIN. That's 8...unless I left one out. I like the pics this week! Well, Rick, you beat Becks to a Flynn question again....and you are CORRECT! The credit for the pictures goes to my new graphics designer, JoAnn, LOL! But thanks! 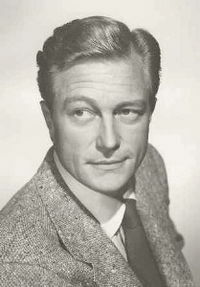 Robert Howe on the Cafe's FB page wrote: Richard Denning also co-starred as Lucille Ball's husband on her CBS radio show MY FAVORITE HUSBAND which was the precursor to I LOVE LUCY. He also played the Governor on Hawaii Five-0. I'm in Flynn heaven! You got me Rick -- good one! I love his westerns. Really dumb choice over Sea Hawk. #12 is driving me crazy--I can't figure it out. Love the pictures too, Paul and JoAnn. I bet you can't figure out which is my favorite. LOL. Rick, yes, playing Governor of Hawaii on Hawaii Five-O was probably his best-known role. Although my wife recognized him as the fiance that Deborah Kerr jilts in An Affair to Remember...the quintessential chick flick! Hi Becks, glad you like all the Flynn questions this week! And the pictures, of course...you can thank JoAnn for that pic of Errol, as if you didn't know, LOL! For #10, Warriors was indeed known originally as The Dark Avenger; the other movie is not King's Rhapsody though, sorry! 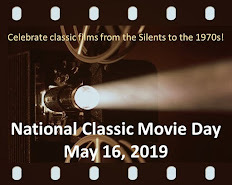 As to #6, the 1940 Best Original Score winner was not "Tin Pan Alley" by Alfred Newman....but please keep on thinking! Sorry #12 is driving you crazy....Mwuhahaha (evil laugh)! Pinocchio? Instead of Korngold's fabulous Sea Hawk score? I mean, I love "When You Wish Upon A Star", but the whole soundtrack? P-U!! #5. The marvelous Derek Jacobi was in all three of them. For #7, given the time frame and the fact that these are movies in different genres, I'll go with the hardest-working actor in show biz: Whit Bissell. Love the pictures that JoAnn, added. Becks, you got #6, way to go! As for #12, you're right....NOT! We'll give you a HUGE clue: the lady in question spent a lot of time on the Central Coast of California not too far north of where we live! And that's all you get, LOL! Rick, you're right on #s 5 and 7, and long live the Whit Bissell Seal of Approval (aka WBSA)!! Gilby, the answer to #1 is actually what you posted as the answer to #2. You haven't actually answered #2 yet. You're right on #4 and #8...good work on the Wilson answer! I AM making these too easy, LOL! Becks, are we still driving you crazy? Or is it a short put? LOL!! Oops! Meant to say "short putt"! I'm still working on #11. I see his face.. Dawn, good job on #12! I told JoAnn that clue was TMI, especially for a California girl, LOL! See, we knew you knew it, Gilby! LOL! Recap: still need to answer all of the "Whos", plus #s 3, (half of) 10, and just one more name for 11. Don't forget Denning was the jerk in Creature from the Black Lagoon who keeps arguing with Richard Carlson about capturing the creature. Yeah Gilby, I think Whit should have thrown Denning overboard into the lagoon! Marion Davies!? I would never have thought of her. (I'm an Indiana girl) And yes Paul, you were driving me crazy, but its a very short drive in my case!